Not everyone hates low wage fast-food jobs. 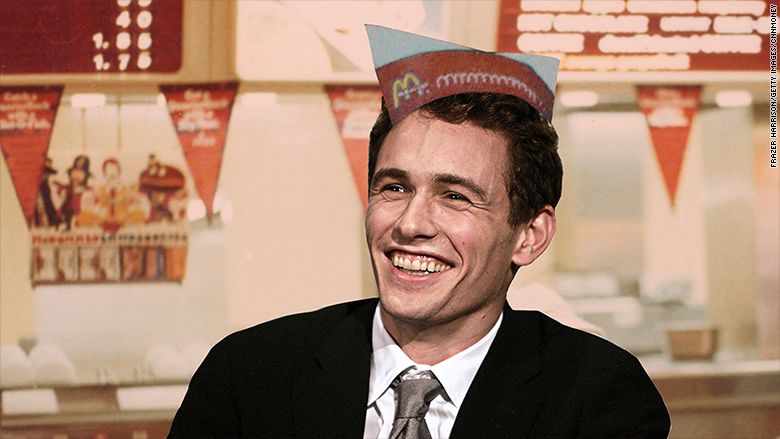 Actor James Franco has penned an essay that fondly recalls his days manning a McDonald's drive through. The column, entitled "McDonald's was there for me when no one else was," appeared in Thursday's Washington Post. Franco writes of a three-month stint he had at a location in the San Fernando Valley in 1996. At the time he was 18 and trying to get his acting career started. "I was treated fairly well at McDonald's," he wrote. "If anything, they cut me slack. And, just like their food, the job was more available there than anywhere else. When I was hungry for work, they fed the need." He doesn't mention his wages, but they probably weren't much different from today's pay when adjusted for inflation. The 1996 minimum wage of $4.75 equates to $7.11 today, just pennies below the current minimum. Franco wasn't living well on that kind of money. He slept on the couch of a rental apartment he shared with two other struggling actors, and ate cheeseburgers that were about to be thrown out to feed himself. But advocates fighting for better wages and working conditions at McDonald's argue that most fast-food wrokers are not in fact teenagers and struggling actors. "If he thinks McDonald's provides opportunities for people who need to find a job quickly, I can't argue with that," said David Cooper, economic analyst with the Economic Policy Institute. "But you have a lot more people taking jobs at McDonald's who aren't struggling actors or students. It's people trying to support a family." A study by Cooper shows that workers earning less than $12 an hour today are 36 years old on average and more than one in four are supporting children. Only 11% are teenagers. Nearly 40% of fast food workers are 25 or older, while 30% are teenagers, according to the Center for Economic and Policy Research. Most make more than the federal minimum wage, but 70% are making $10.09 an hour or less. Another study by the Center for Economic and Policy Research confirms that far more fast-food workers are older adults than teens. It also found that 70% of these workers are making $10.09 an hour or less. "It's a real privilege to do what [James Franco] did, just work a few months and leave when he wanted to," said Tsedeye Gebreselassie with the National Employment Law Project. "The demographics of the fast food industries has shifted to more adults, more people with college degrees who can't find other work." She also points out that the teens who do work there to help pay for college can't cover nearly as much of the rising cost of college as they once did. "A college degree is no guarantee of a good paying job. But it's a guarantee of much higher debt than when James Franco was working there," she said. 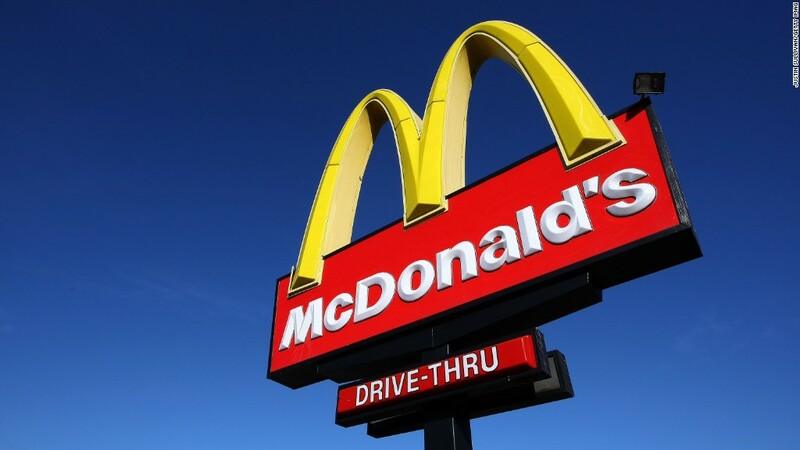 McDonald's (MCD) declined to comment about the demographics of its workforce. But it did say that Franco's essay shows its jobs are valuable to many workers. "Millions of people work at McDonald's for their very first job, including many celebrities," said spokeswoman Becca Hary. "They have fun, make friends, and most important, gain valuable job skills that last a lifetime."